This Luxurious leave-in lightweight formula works each hair strand for a polished, frizz free glossy look without leaving oily residue. Infused with Argan and Jojoba Oils. Made in USA. 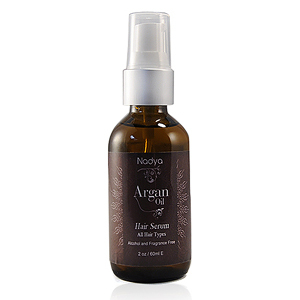 Apply 1-3 drops to damp or dry hair and distribute evenly from roots to ends. Avoid scalp area. Do not rinse. Style as usual. Use daily for best results. for extra dry, damaged hair apply 2-4 drops before bedtime. Cyclopentasiloxane, Cyclotetrasiloxane, Dimethicone, Argan Oil, Jojoba Oil, Octyl Methoxycinnamate, Phytantriol, Silk Amino Acids, Tocopheryl Acetate.